Steely Dan fans can be a fussy lot, but when it comes to covers and tributes, they’re also a starved lot. There’s probably a fairly good reason for this, less to do with their brand of seventies soft-rock falling out of vogue and more to do with the sound musical knowledge it takes to tackle Donald Fagen and Walter Becker’s imposing catalogue; that, and some major chutzpah. As it turns out, Canadian band The Darcys aren’t lacking in either. 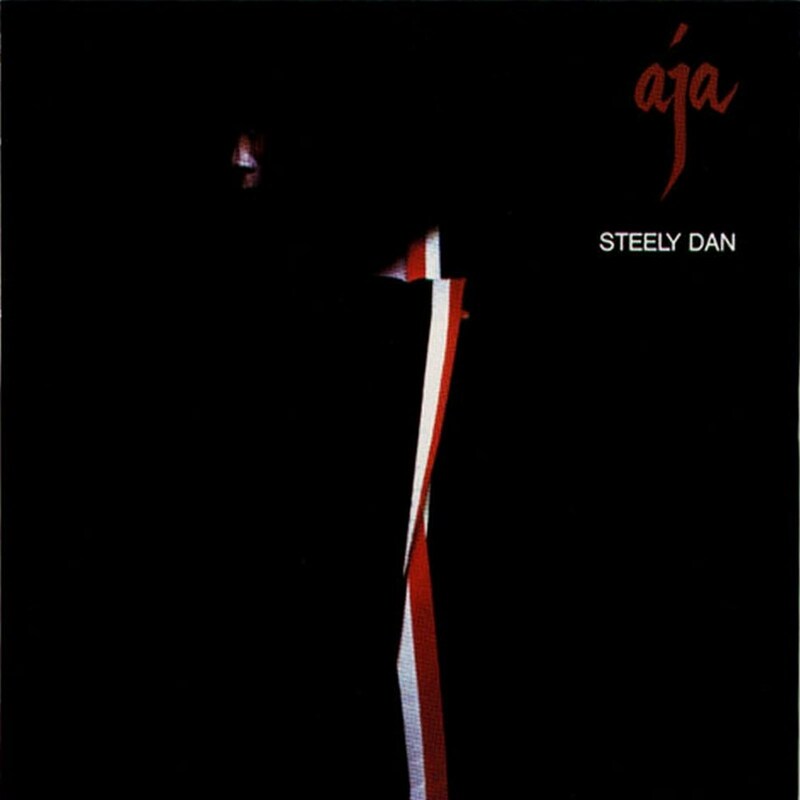 Touted as ‘the second part of a musical trilogy’ the Toronto natives have just released a song-for-song interpretation of Steely Dan’s 1977 album, Aja. Following on from their impressive self-titled release of last year, their latest is an album-length interpretation of the original jazz-rock fusion masterpiece re-imagined as a *ahem* steely modern update for a new generation. Even its sleeve, a stark photograph angling upwards towards an imposing and intimidating slice of stone and glass architecture, is in yin and yang opposition to the minimalist black camouflaged kimono of the 1977 cover. It’s art-rock laced with elements of drone, shoe-gaze and electric instruments at their most redolently noisy, drained of the delicious jazz-rock and precision of a turnstile of razor-sharp session players, it instead wraps around darker, atmospheric edges and brooding ambience that accentuates the moodier subtexts of the original, even as it defies its groove-laden clarity. Peg shirks its exuberant funk-pop origins, mutated and slowing-down the vocal stanzas while upping the tempo into a hammering, crashing drawl. It may retain theperfect Michael McDonald harmonies of the chorus but drops the fizzing pops of the horn section like a stone. The title track is no longer a master-class in jazz-rock fusion, but instead a worthy lesson in atmospheric tension, and obviously, dramatic interpretation. Of course the absence of certain characteristics are still missed, chiefly the irresistible grooves and rhythmic drive. The slick shuffle of Home At Last is instead stretched across its fundamentally melancholic chord changes, and the stop-start flare of I Got The News replaces chunks of organ and brass with cyclic keyboards and wiry guitar, while minimal drums and looped picking lay down a rhythmic backbone. 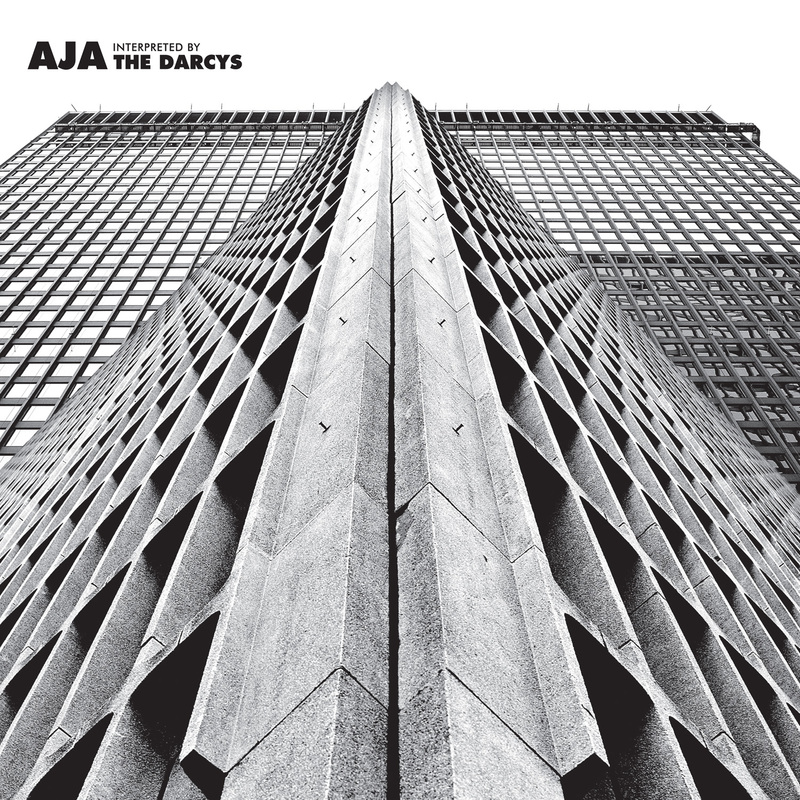 To borrow a term from the sphere of art criticism, the sound of The Darcys’ Aja is distinctly modernist. Modernist in the way that Radiohead’s The Bends made all other guitar music of the time seem positively archaic. Speaking of the Oxford quintet, theirs is a good musical reference point to Aja’s sonic world. Taking some of its cues from another modern milestone, released twenty years later: OK Computer. With a similar breed of nervous tension and musical inventiveness, its warped, humming sounds and icy washes of guitar are similarly creative. Aja, the song, begins with buzzing finger-picked guitar and a dub-inflected drumline complete with rimshot, before spooked noises come lancing across its surface; complete with Wes Marskell’s doable mimicry of Steve Gadd’s infamous drum solo in its tail-end. The winding musical passages of these seven songs ably allow the resourceful quartet to inject their own style into the fray without distorting the overall silhouette of the initial tunes. Dwelling in the sprawl of these broad instrumental sections, shading them with swelling dissonance and hypnotic rhythms. In fact, the lingering sonic meltdown is a key weapon in the band’s skill set, think KarmaPolice in its chaotic dying howl, or Mogwai’s alternatively shimmering and shrieking aural assault. The ending of Black Cow adds a new-found sense of grinding dread in a thick haze of organ and squalling guitar, whereas the spiky urgency of proto-I Got The News contains an extended two minute coda that accommodates an undiscovered pulse of circling minor chords. Any musical update was bound to be vaguely shocking, there’s been at least forty years of musical history and all its fickle trends between the two versions after all, but perhaps more shocking is how spiritually similar they are. Despite the new moods and arrangements, the songs remain anchored by their fundamental melodies, the sterling chord changes and all their rich tonal colours remaining relatively untouched. Any long-time Steely Dan fan (is there any other kind?) would be able to sing along word-for-word and feel at synch, yet be surprised by the number of atmospheric departures. It’s best thought of as surrealism in its purest form, taking the familiar and making it unfamiliar. To state the obvious, the majority of this kind of analysis is taken from the perspective of someone intimately detailed with the familiars of the seminal original - so what of those who have heard neither of The Darcys nor the seventies mavericks? How does Aja function as an introduction to either group? 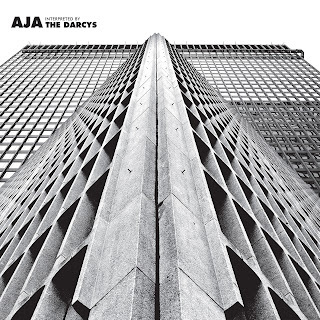 Well, I’m not entirely sure, judged purely on its own merits without a predecessor to simulate, The Darcy’s Aja is a fascinating record and a fitting and consistent evolution of their sound following on from their eponymous 2011 record. There’s plenty to enjoy from even a complete Steely Dan virgin. Except that these aren’t really The Darcys’ compositions, and you can’t truly divorce them of their context. Much of the power of Steely Dan’s original is tied in with its cultural impact at the time, the zeitgeist artefact of a historical period in which the processes by which music was disseminated as well as received in American popular music held it up as a high achievement in more than just a few usual ways. Tickling both commercial and critical ears, it was an influential blockbuster, inspiring as many groups as it did sell records. The result of which, has meant its acceptance not only into countless ‘best of’ lists but also the United States National Recording Registry. If there was a sacred cow to slay, Aja easily represents one of the biggest and juiciest. And slay it, The Darcys do. A feckless tribute album simply wouldn’t have cut it, and that the band had the bravery and the versatility to dirty up its legacy while preserving the fidelity of its fundamental elements, means they’ve dodged the bullet of ‘sacrilege!’ naysayers. Perhaps it’s the twin bias of holding up the original as one of the greatest albums committed to tape combined with one of music’s most underrated acts, but The Darcys’ Aja is already the best thing I’ve heard all year. Sure it’s hardly a busy field at this stage, but what could have been a foolhardy mistake in tackling an iconic classic turned into a hugely intriguing and satisfying listen, with merits and strengths of its own.